This is a bottle of ink I’ve purchased at the Frankfurt airport during my Italy trip. 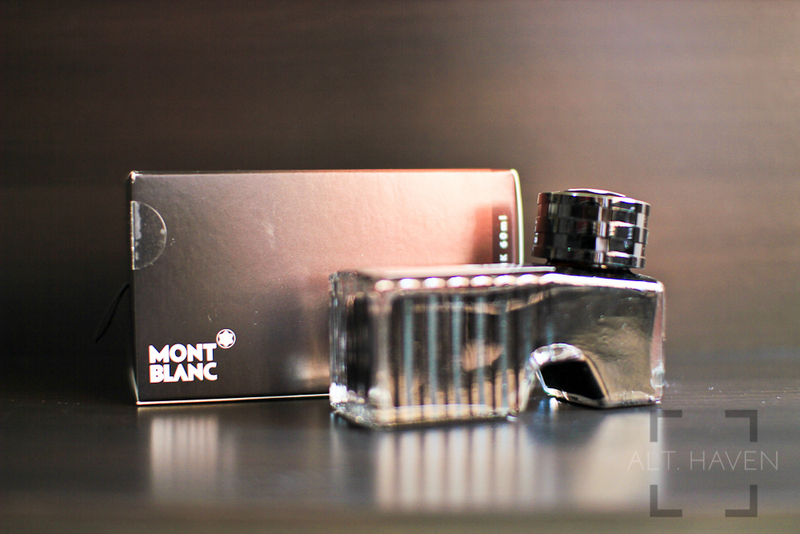 Mont Blanc standard inks come in a shoe shaped bottle which has 2 sections. When the ink level gets too low to be filled straight from the bottle, you can tilt the ink to fill the smaller section. It is a well designed bottle in a compact size. Mont Blanc Toffee Brown leans towards the redder / warmer spectrum. It has good shading properties. It goes from a dark brown to a dull red brown. 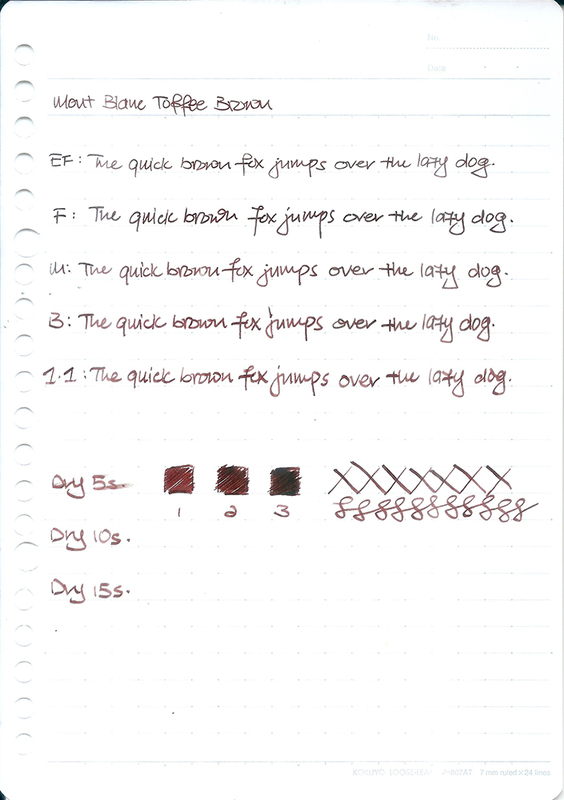 Though I prefer Maruzen Sepia, Mont Blanc Toffee Brown is still an excellent brown ink.